I have read a fair amount of personal finances books over the past few years. Many of them came from my mother’s stash. I think if my mom was able to follow a different path in life, she would have gone into the personal finance world. Alas, she pursued nursing as all good Filipino children sometimes do (not my sisters and I though, sorry Mang!, but we are making up for it with this site I hope). She once told me that she found personal finance books so much more exciting than any of her nursing books which is why she kept buying and reading them. You can read her story here. Many of the personal finance books I’ve read focused on saving for retirement, but retirement was always positioned at the age of 65, not sooner. It wasn’t until last year, after my sister introduced me to the ChooseFi podcast that the concept of Financial Independence, Retire Early took its strong hold on me. I was mesmerized by the possibilities and the options and it came at the right moment for me as I struggled to make up my mind to go back to the work force after some time-off/mini-reirement. 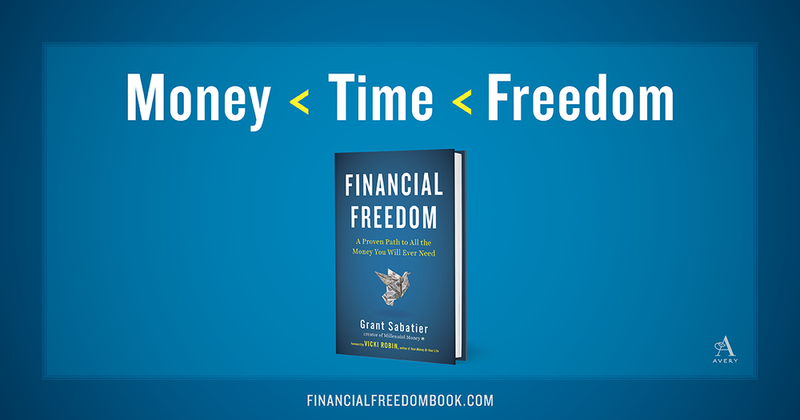 When the opportunity to sign-up to preview Grant Sabatier’s new book Financial Freedom: A Proven Path to All the Money You Will Ever Need came up, I jumped at the chance and am so glad I did. It is jam packed with actionable insights. 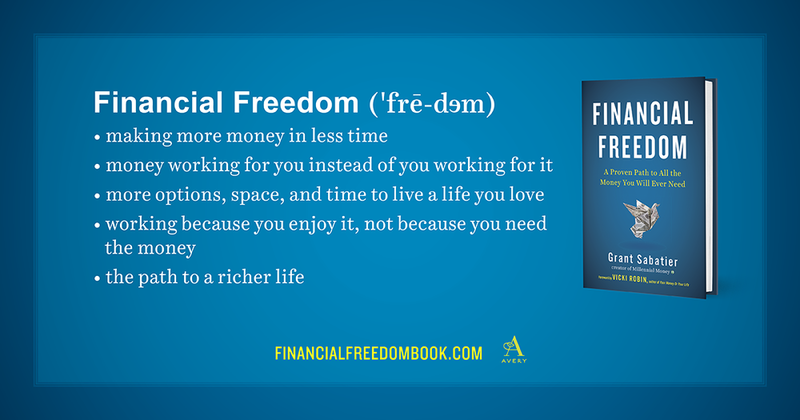 More importantly, it gives you a blueprint of how to achieve Financial Independence early on. There’s also an important question that Grant addresses “Why do you want to retire early?” Retirement while your fully financial independent is all about options and its all about choices. If you are not familiar, Grant Sabatier is the creator of Millenial Money, a website and community for personal finance, investing and side hustles. 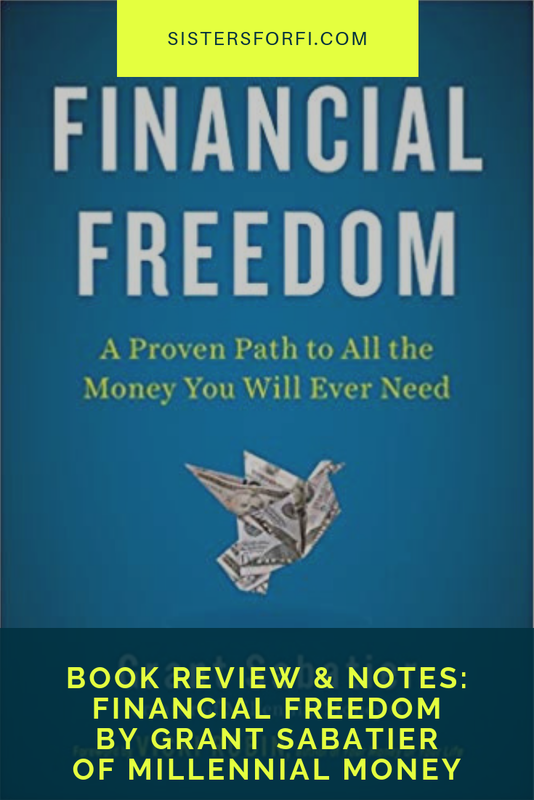 Perhaps, you’ve seen his name on many news articles about financial independence or you’ve come across one of this blog posts, well his new book is packed with more practical advice and tips to get you to financial independence faster. The book is succinctly laid out into the following chapters. I’m not sure how the final Kindle edition of this book will come out, but it was hard to read all of the graphs and charts on the Kindle so I recommend picking up the hard copy so that you can fully see the numbers laid out in front of you. I’m just going to pull up a few chapters to delve into. The Seven-Step Fast Track Investment Strategy: Accelerate Your Moneymaking Money! This is an all important chapter that not a lot of money and personal finance books cover. It looks at the exchange we do on a daily basis for our time and time. Think about that for a second. When we work, we exchange time at work for a wage or a salary. We then exchange that money for stuff. Rarely do we think about using that money to buy back our time in the future. I think what people also fail to realize is that retirement doesn’t have to mean not working. It means having the option to work, to work part-time, to pursue a passion project, to spend time with family at a time when they may need you or to enjoy the fact that you are still young enough to travel and walk and get to places. Retiring early can be about resetting, re-gaining a new perspective, recuperating from hard work and re-appreciating life. My mom was determined to retire on August 2018. On December 2017, she was diagnosed with advanced breast cancer and had to undergo chemo the first few months of 2018. It was painful to see her so close to her goal and dream of retiring and heading to the Philippines. Thankfully, she came out of that journey healthier and with a different outlook on life, but I think it put some perspective for me about not waiting too long for something to happen. I had read Tony Robbin’s MONEY Master the Game 2 years back and one of the exercises Tony has in that book is how to come up with your number. The question really boiled down to “How much do you really need to live on the basics?” From there, add the nice-to-haves then move on to luxury then to full financial freedom. Grant does a great job going over this and really putting things into perspective. For people that are just reading about this number for the first time, this concept will seem new and perhaps inconceivable, but it puts into perspective that if we really boil down our needs vs. wants, we don’t need that much to survive and therefore we don’t that much to feel secure. In this chapter, he talks about needs vs. wants and re-thinking and living differently. It’s so easy to get caught up in the cycle of keeping up with the Joneses, but is that really the life that you want. By getting to your goal number, which is the amount of money you need to have saved up to be able to comfortably withdraw from to fund your basic needs, you’ve reached financial freedom. The reality is that for many of us, that number is actually not that high. Some people’s numbers hover around the $1 million mark and it seems a lot, but we also have think about how much money we make now and how much of it gets wasted because we don’t have a purpose for it. When you start doing the match, the numbers begin to tell you that it’s quite achievable to save up that much in a few years. The question is that do you want to do it and are you maximizing what you can to get there. This chapter is probably THE chapter that will resonate with a lot of people especially as many of us come from the 9-5 world and mentality. The chapter provides lots of actionable tips to fully maximize the benefits of what your current company and role provides. I’ve saved so much money taking advantage of company benefits that are widely available on my own journey. 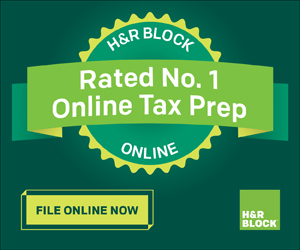 From getting grad school paid off, getting reimbursements for gym, transportation, and classes to maximizing tax-advantaged accounts from an early age, knowing and taking action by taking full advantage of your 9-to-5 benefits is a huge gain. After all, these benefits are there for you and part of your compensation package so why not make use of them. It really boggles my mind how many people complain about their current salary, but don’t take the time to learn what other benefits they could be taking advantage of at their current job. Many people are literally leaving money on the table. 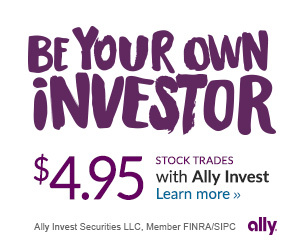 $1 invested today will be worth than $1 earned tomorrow because of compounding. I think this book is an excellent resource for those just starting out, for those that are new to the FI/RE movement and those that want to live an unconventional life. The one thing about this book that really stands out is the fact that it is current to the times and it comes from a place of abundance instead of scarcity. This is not your father’s personal finance book. There’s a chapter in the book that walks you through starting a side hustle which is easier now more than ever with the freelance/gig economy and the fact that the internet has allowed us to work from literally anywhere we want to. Read through it, make it your handbook for the next few years and I can pretty much guarantee that you’ll be better off financially 5 years from now.